LakewoodAlive and its merchant association, the Downtown Lakewood Business Alliance (DLBA), today announces a Pokémon GO contest in Downtown Lakewood from July 25 through July 31. LakewoodAlive and DLBA are teaming up to launch a Pokemon Go Facebook Contest in Downtown Lakewood. Pokémon GO – a free-to-play, location-based augmented reality mobile game – has swept the nation and beyond since its release earlier this month, having accumulated 10 million daily players in the U.S. alone. In an effort to leverage this phenomenon, and celebrate the investments so many entrepreneurs have made in the downtown district, LakewoodAlive and DLBA are launching a social media contest aimed at maximizing downtown consumer awareness and foot traffic. 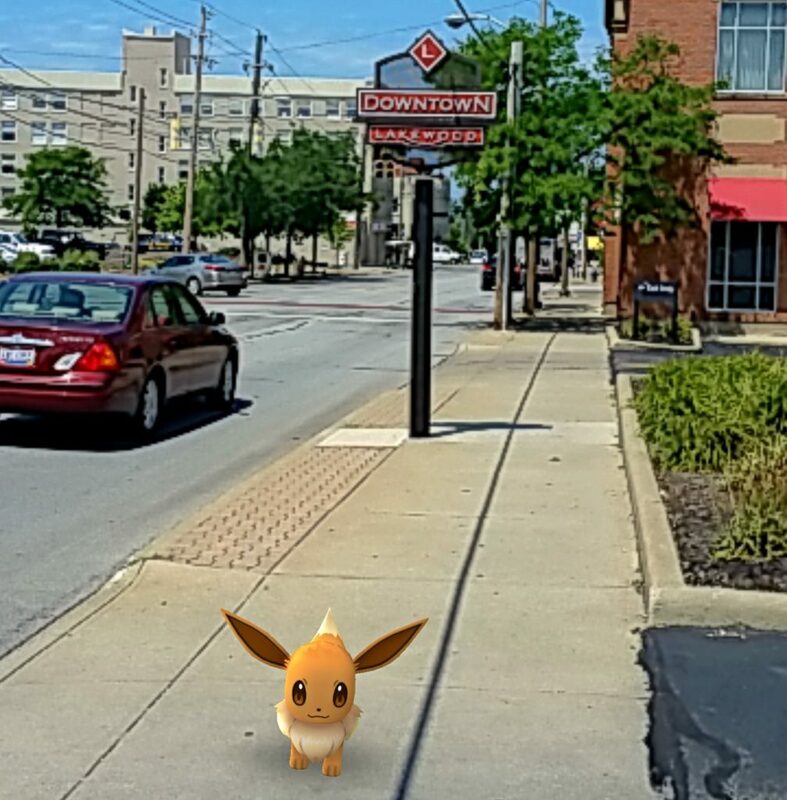 – The contest will run on Downtown Lakewood’s Facebook page from 10 a.m. on Monday, July 25, through the end of the month, concluding on Sunday evening, July 31, at 11:59 p.m.
– The contest will ask Pokémon GO players to post an in-game photo of a Pokémon spotted in Downtown Lakewood in the comments section of the Facebook contest thread using hashtag #LWPokemon for a chance to win a downtown prize pack. – One or more contest winners will be selected at random on Aug. 1. Downtown Lakewood merchants are invited to participate in the contest by contributing a gift card to the prize pack. For more information, contact Matt Bixenstine, LakewoodAlive’s Marketing & Development Manager, at 216-521-0655 or mbixenstine@lakewoodalive.com.